Our Team. Your Social Media Super Heroes. We know you work hard. You run a business and we understand the demands that puts on you. 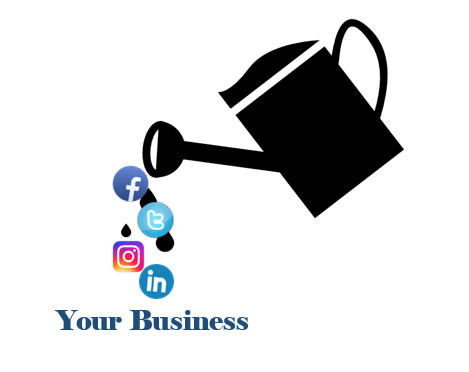 It’s imperative that you maximize your reach, grow your audience and expand your connections if you want your business to flourish. Because it takes a million different parts to run a successful business, marketing yourself online often takes a backseat. Presenting your business through popular social media platforms may not be your strong suit, but there’s good news – it’s ours. Social media is not the temporary fad some thought it would be. Sure, there are teenagers over-sharing and under-studying, but there are a plethora of companies of every size experiencing rapid growth and success by tapping into the massive number of people with buying power and a keyboard. Facebook and friends are here to stay. Your options are endless when you consider social media as a marketing resource. In addition to having a broad reach, it’s exceptionally cost effective. Social media is the cheapest form of advertising you can get your hands on today. To get the most bang for your literal buck, you still need to be strategic so that you’re best positioned to have an effective presence online. Thankfully, there are local experts right at your disposal. Just call on our name, we’ll be there. Winter, spring, summer or fall. All you have to do is…okay. You get it. Your new customers and clients are waiting. We’ll show you where they are…you might be surprised. Email us today!